If someone would ask me what a beautiful life means. 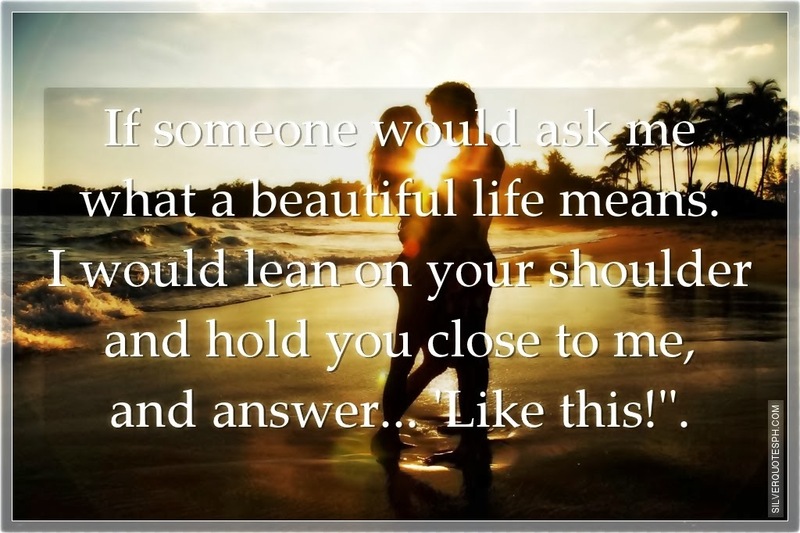 I would lean on your shoulder and hold you close to me, and answer... 'Like this! ".